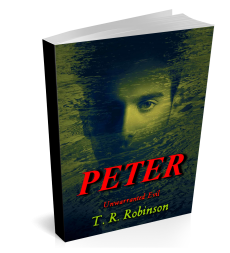 Welcome to the T. R. Robinson Publications website. It is hoped you will find all available, and subsequent, content of interest and help. If you have a particular area of interest, relevant articles and posts may be located either from the ‘Categories’ list to the right or by carrying out a keyword search. As indicated on the ‘Home’ page and elsewhere, the primary purpose and aim for this website is to assist authors and readers alike. Authors: with tips and ideas on publishing, marketing and writing. Readers: with details of interesting and entertaining books and authors. Though the aim is to post new articles and topics of interest on a weekly basis there are currently (as of September 2018 and beyond) issues that may result in less regularity. It is hoped visitors and followers will not find this too distracting. The aim is to still publish quality information authors and readers alike will find helpful and interesting. Thank you Lucinda. Hope to start publishing the occasional new article from next week. Nice, you are back Tanya. Do I have to resubscribe to your new articles or will I still get your posts? No need to resubscribe. Posts should continue to come through as they did before. Please let me know if they do not. It is nice to be back. Thank you Lynne. Posts may not be so frequent for a while but will do my best.